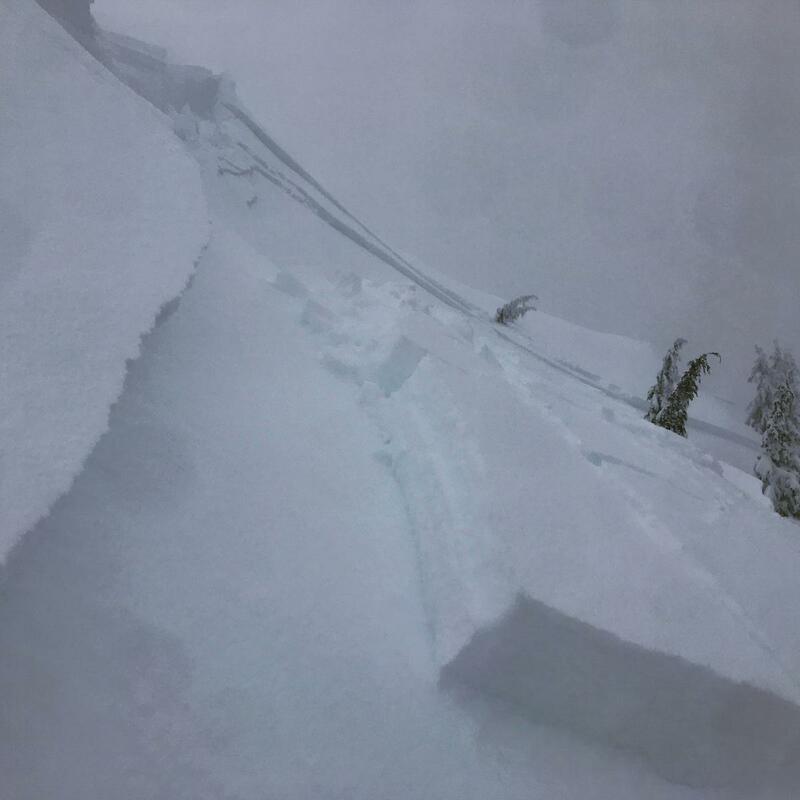 This avalanche was triggered by an intentional kick near a cornice feature. A large section of overhanging snow cracked off and landed on the slope below, triggering the avalanche. Nobody was caught. This slide was big enough to bury, injure or kill a person. The crown was 10 to 20 inches deep and ~300 feet wide, running the distance of the slope through sparse trees. The starting zone is 39 degrees and east/northeast facing. Effects of wind loading were not obvious during the tour leading up to. That said, looking at Gray Butte weather station winds over the storm period (0500 on January 15th to 1800 on January 17th), wind speeds averaged 14 mi/hr with gust average 26 mi/hr. The wind was mostly south with periods of southeast and southwest. These overall light to moderate winds along with a warm storm created for good cornice formation and cross loading of this slope and ridgeline. The bed surface/weak layer occurred at a 4F to 1F density change ~10 to 20 inches below the surface. Primary grain types was graupel and needles. Sky obscured all day, very poor visibility.